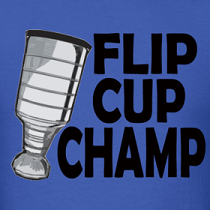 Dirty Dangle Hockey: Hockey Night in Canada Slipping on Ice? Hockey Night in Canada Slipping on Ice? Hockey Night in Canada is a huge part of my life and my childhood. From watching the games as a kid with my Dad to now having a few pops with my brothers and friends while we watch. I used to dream of making the NHL, and how my first game would be on a Saturday night in Toronto for Hockey Night in Canada and I would get interviewed at intermission. I would have been the new hot rookie and gotten to say hello to my family and thank my old coaches. Yup, just a dream. I have seen a few articles in the past saying certain broadcasters had to be fired or that HNIC should just be changed to Hockey Night in Toronto because they're heavy on the Leafs. 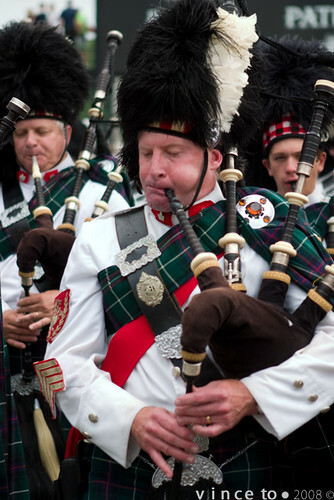 Here is an article by Jeff Mackie, who writes for Sympatico Sports. 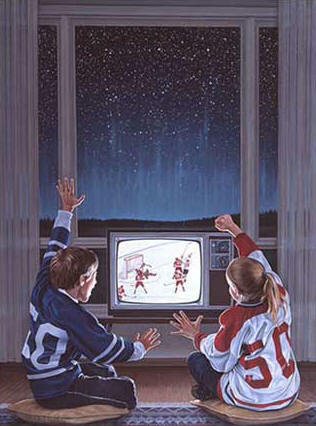 It's called Hockey Night In Canada is a Fading Icon. I like TSN, and yes they do have a few games a week with flashy commentators, but HNIC will always be my favourite hockey program. I can’t see this happening. I don’t think CBC would let it happen and I don’t even know if the NHL would even let it happen. I do think it’s time Bob Cole retires. He was amazing in the 1990’s, but the last few years he has been missing calls and falling behind in the play. We used to call the Cole/Neale tandem Bob Old and Harry Senile. I can’t find it in my soul to diss Don Cherry, but he is also getting up there in age and Coaches Corner just doesn’t have that buzz that it had in the past. I am not saying he needs to quit. But I just hope he realizes that he should maybe step down pretty soon. For the last season, I've noticed some audio/video errors for the West Coast games. The feed cuts out sometimes, and there's always this annoying ringing noise that sounds like they're using Rogers Cable 10 equipment. Glenn Healy has the biggest hate on for the Leafs and is always so bitter. He should be thankful they kept him for 4 years as a brutal backup who couldn't get his save percentage above .890%. The 2nd game needs something more interesting for the intermissions. Bring back that old Labatt shootout or even do that mini 3 on 3 pond hockey tournament they did a decade ago. Elliotte Friedman is awesome. Check out his blog. The overall game production is great from the graphics to interviewing player’s parents in the stands. 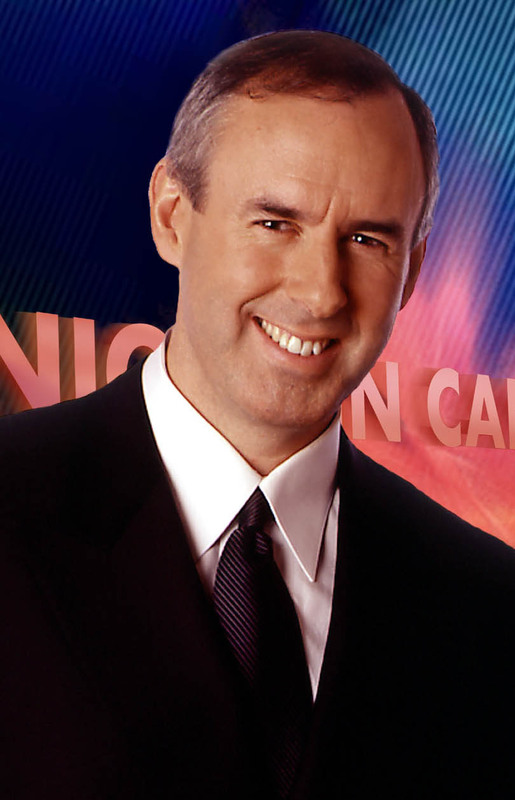 Inside Hockey with Ron Maclean at 6:30. Hockey Day in Canada is my favourite day of the year. Even though they lost their HNIC theme to TSN. The new one is still awesome and gets me pumped up. I love that Crosby wins the faceoff against Gretzky. The intros they do for games. They are great during the season, but amazing during the playoffs. I have a hard time deciding whether the Coldplay intro or Lazy Eye intro is better, we'll call it a tie. It’s the best hockey tradition and brings hockey fans and families together. What do you think Dirty Dangle readers? Is Hockey Night in Canada slipping? What do you like about it, or would you want to see changed? Bob Cole is a Legend. But it's time he steps down and retires. The Lazy Eye intro is amazing. I love Bob Cole, he obviously needs to step down. But, when it's playoff time, nothing gets me more into the game than him. "Ohhh baby!" 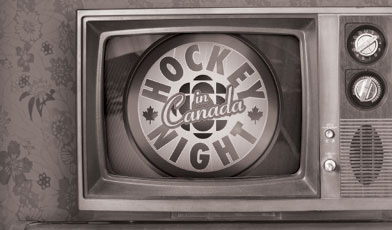 I love Hockey Night in Canada and think they have done a great job this playoffs.